Here is your Vodafone Big Top 40 playlist made up of all the brand new entries from this Sunday's show. We've put together all the new releases that have made the countdown. We only had TWO songs last weekend to show you however that is NOT the story this weekend. We have SIX new songs for you to listen to...you're welcome! Here is the Vodafone Big Top 40 top ten singles from this weekend's show. Starting at No.40, we have a blast from the past! Now THAT is a voice we haven't heard for a while. Ah yes...who remembers 'Wasn't Me' and 'Bombastic'? We do and we have to say, we're loving his brand new single 'I Need Your Love', what's your verdict? A little bit of Michael Jackson here and a little Bruno Mars there and you've got all the ingredients to make Aston's brand new funkalicious single 'Get Stupid'. They mesmerised us with their first collaboration 'Latch' and now they are back with a second helping that we just can't refuse. 'Omen' has given us a taste for their new album 'Caracal' and we want more! Sound familiar? Well, Spinnin' Records DJ Joe Stone has remixed the 90s classic 'This Is How We Do It' by Montell Jordan 20 years since it was first released...and you guys LOVE it! Joe must be feeling off the rails with this result. The YouTube sensation broke into 2nd place just minutes before lockdown on Sunday with his HUGE house track 'Wanna Do'. LISTEN: Joe Weller thanks his fans for downloading 'Wanna Do' and sending him to No.2 in the chart. Well of course they went straight to No.1! 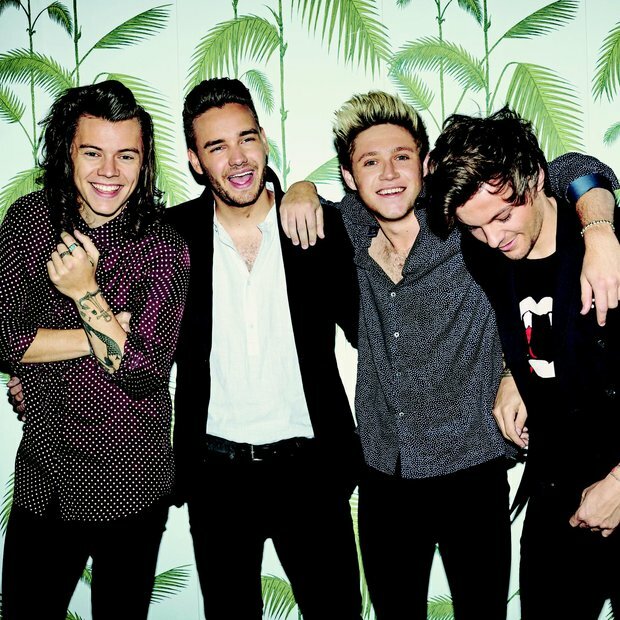 One Direction dropped this single on Friday and sent the music world into a frenzy. 'Drag Me Down' gives us a bit of a different sound from the the previous outings which makes us all the more excited for the upcoming album. Listen to the incredible moment Louis Tomlinson found out 1D had debuted at No.1 with 'Drag Me Down'.